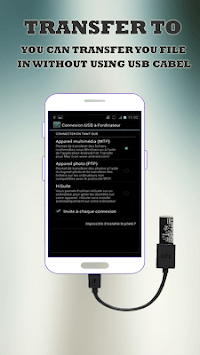 USB Connector Software For Android & USB OTG Explorer. USB OTG File Manager. 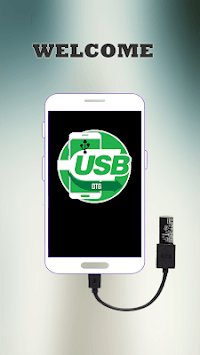 USB OTG Explorer or OTG Connector Software For Android & USB OTG Explorer is an all in one USB OTG File Manager. OTG Explorer or OTG Connector Software For Android lets you to read USB flash drives as well as card readers. 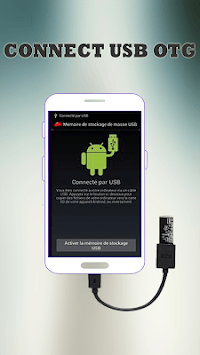 Connect your Android device to USB via an OTG Cable and transfer and data to and from your Pen Drive. -- All you have to do is to connect the flash drive to an OTG (On-the-go) flash drive cable then plug in the micro USB connector of your Android mobile, tablet, mouse or wifi adapter then open USB OTG Checker app you will see all files in USB drive and you can open files with your favorite app viewers or editors It Works well. Current support for the FAT32 disk format of flash drives in USB OTG Checker app. -- OTG Disk Explorer lets you read USB flash drives .as well as card readers from your phone or tablets. All you have to do is connect the flash drive to an OTG (On-the-go) cable then plug in the micro USB connector of your tablet, or mouse or wifi adapter then open this app you will see all files in USB OTG drive and you can open them with your favorite app viewers or editors. Current support FAT32 disk format of flash drives. USB OTG Checker app Note; Lite version limit single file size to 30mb, if you need to open a file larger than 30mb, please consider OTG Disk Explorer Pro. 1. Copy Data To Pen drive from your Android Device. 2. Transfer Data from your Phone to your Pen Drive. 3. USB OTG Explorer or USB File Transfer lets you view data on your Pen Drive. 4. Easy to access OTG devices through USB OTG File Explorer Manager application. 5. Mount and Unmount drive with a single click. 6. Full NTFS support OTG. 8. Automatic mount jump drive USB otg. 9. Notification when drives mounted!. 10. Load modules required automatically. 11. Automatically open the mounted drive 10 Media scanner triggered on the mount. 12. Option to enable utf-8 mode custom flash drives.